Need it there quickly? Same-Day and Next-Day courier service from NOW Delivery ensure that your sensitive documents, employee payroll, business supplies and more get to their destination in an expedited manner. Same-Day courier service is recommended when you need the ultimate in speed, reliability and guaranteed service. Next-Day courier service offers the same reliability and high level of service, but when you have the flexibility in your schedule, this option offers better pricing. Whichever you choose, NOW Delivery's courier service show clients, customers and partners that you value their business and understand the urgency in getting things done. 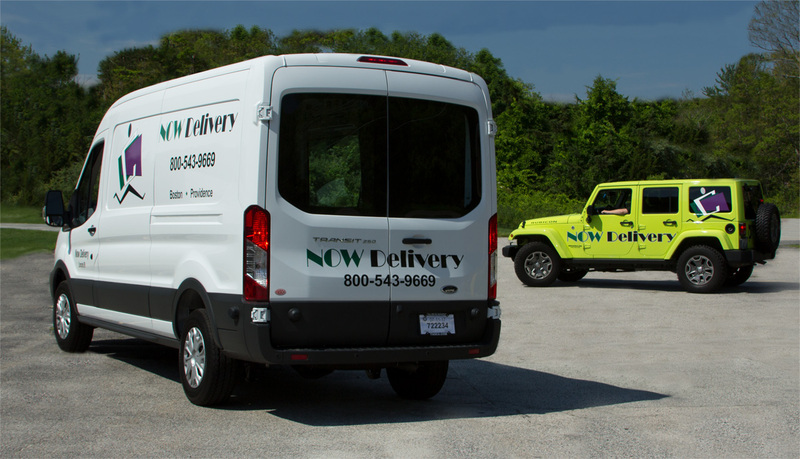 With over 35 years of experience in the courier business, NOW Delivery has recruited a talented team of drivers and dispatchers who know Providence, Boston and the surrounding areas very well. Plus, we employ the latest software and technology that allow you to track each package while enroute. In the end, you'll have peace of mind knowing that NOW Delivery will find the quickest possible route and your package will arrive on-time, every time. Call (800) 543-9669 or email us directly to learn more!